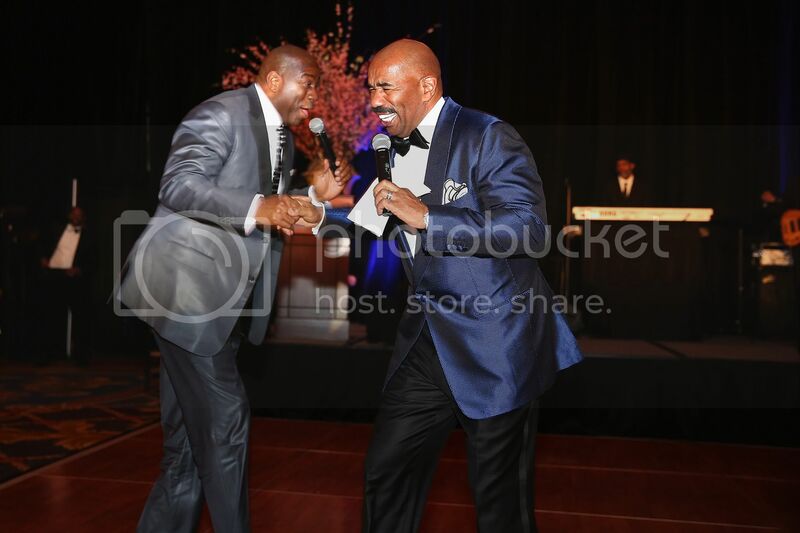 CHICAGO, IL – On May 3, 2014 at the Hilton Chicago, The Steve & Marjorie Harvey Foundation hosted a gala to benefit the non-profit organization’s nationwide mentoring programs and scholarships for boys and girls. 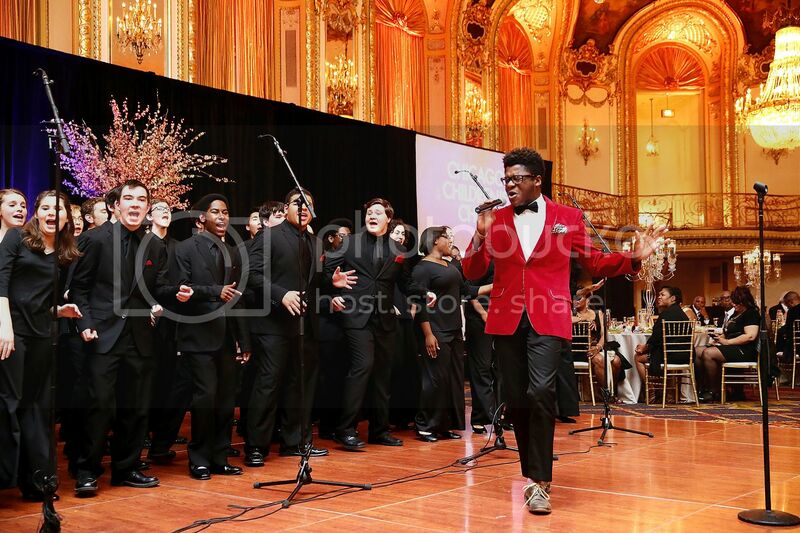 As part of their efforts to empower young men and women, radio, talk show and Family Feud host Steve Harvey, his wife Marjorie Harvey, and NBC Chicago’s Michelle Relerford co-hosted an evening filled with laughs, poignant stories and rousing entertainment, including an opening performance from the Chicago Children’s Choir and a closing performance from superstar R&B artist KEM, and singer L’Renee. 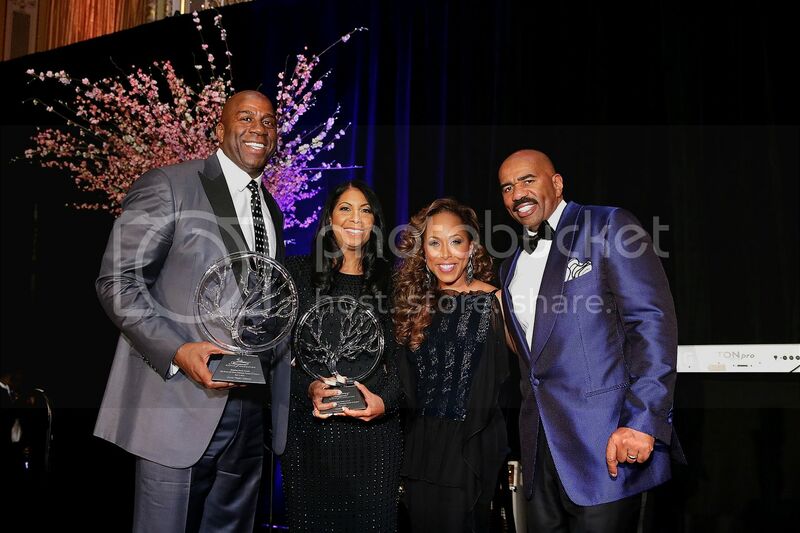 Raising over half a million dollars to support the foundation’s programs including the Steve Harvey Mentoring Camp for Young Men and the Girls Who Rule the World Mentoring Weekend, The 2014 Steve and Marjorie Harvey Foundation Gala presented by Coca-Cola also recognized the efforts of four “Helping Hand Award” honorees who exemplify the “Power of Three:” Potential, Passion and Purpose. 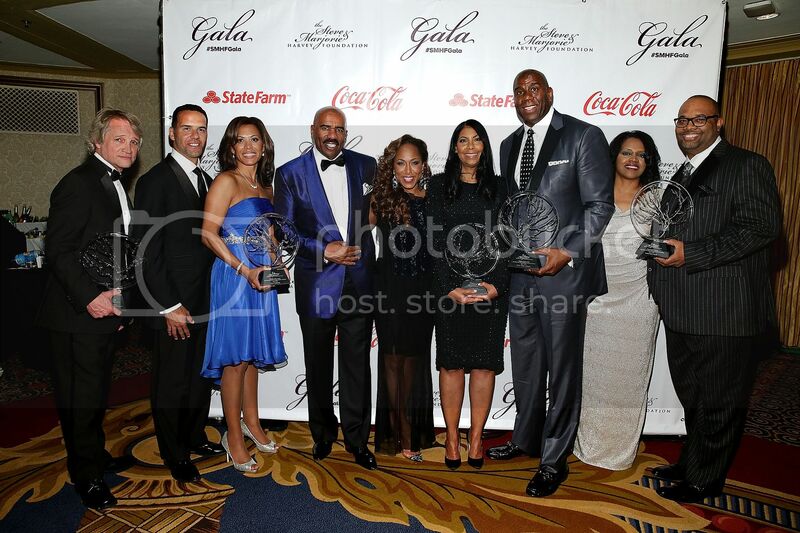 The “Helping Hand Award” was presented to Chicago activist/Pastor Corey Brooks (New Beginnings Church Chicago), Screen Gems President Clint Culpepper, Walgreens Chief Diversity Officer Steve Pemberton, and philanthropists Earvin “Magic” Johnson and Cookie Johnson, honoring their inspired journeys and leadership that are paving paths for others. 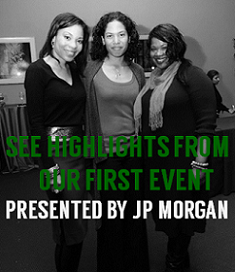 A host of supporters joined in the evening to celebrate the “Power of Three” and giving back, including actress Holly Robinson Peete, supermodel Cynthia Bailey (Real Housewives of Atlanta), Illinois Governor Pat Quinn, renowned educator/Capital Prep founder Dr. Steve Perry, journalist Ed Gordon, and more. $45,000 for a VIP Lakers package provided by Johnson. 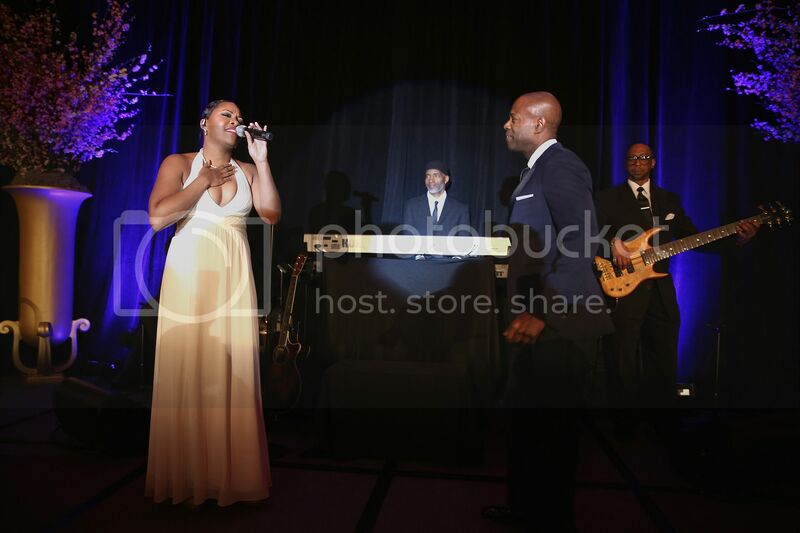 The 2014 Steve and Marjorie Harvey Foundation Gala presented by Coca-Cola included support from Influence Sponsor Coca-Cola; Empower Sponsor State Farm; Motivate Sponsors Essence, Neiman Marcus, Premiere Networks, Morgan Stanley and Endemol; Inspire Sponsors Walgreens, BET Networks, Hillshire Brands, Garrett Popcorn, Joan Boyce Ltd. Fine Jewelry, JRW Design and Majestic Star Casino-Hotel; In-Kind Sponsors NBCUniversal, Monster Products, and more. 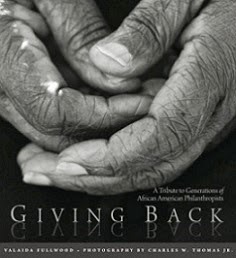 For information about The Steve & Marjorie Harvey Foundation, visit www.smharveyfoundation.org.